Picture yourself coming face to face with a bat hanging loosely on your garage roof structure. Imagine running into a skunk in your front lobby or trampling a mouse underfoot as you prepare dinner. All these scenarios are not only undesirable but also horrifying. 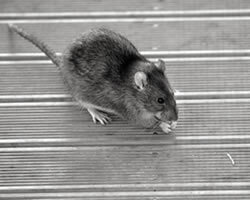 With the arrival of winter weather, winter pests such as rats, mice, cockroaches, skunks and raccoons will most likely infest your home in search of shelter and warmth. Below are expert tips on how to keep these unwanted guests from moving into your house this winter. Animals have a very strong sense of smell that naturally prompts them to explore the source. Keep your food tightly packed in metal, glass, or plastic containers. They may not stay if there’s nothing to munch on. Even with all the necessary precautions in place, some stubborn animals would still come into your home. An all-natural animal repellent is suitable for deterring them from staying for too long, especially in hidden places such as the basement or attic. Allowing heaps of clutter and trash around the house gives animals a perfect cover before they finally move in through the nearest opening. Take a walk around the house and patch up any unwanted holes on window frames, split shingles and other openings. Mice are notorious for creeping and squeezing through any opening in the house. While working on the surrounding, never overlook the nearby overgrowth. Overhanging branches and thickets make it convenient for squirrels and chipmunks to access the upper part of your house and possibly enter your attic. Without a territorial canine, simple deterrents such as installing motion sensitive lighting systems or soaking a rag in ammonia to imitate the smell of predator urine may prove beneficial. As temperatures drop significantly, critters and other pests will certainly come knocking. Before they end up in basements, chimneys, and attics, implement a few of these tips. Wildlife control specialists such as Critter Control® of Miami will help you rid, safely and efficiently, any wildlife that makes your home their winter residence. You may also want to ask about our preventative services and free home inspections to ensure critters aren’t invading your home. Contact us today at 305-258-3587 to learn more about our prevention, removal and repair services to keep your home critter-free this winter.